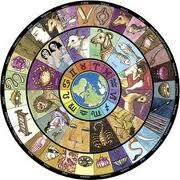 When we think about astrology, most of us will immediately think about the twelve signs of the zodiac: Aries, Taurus, Gemini, Cancer, Leo, Virgo, Libra, Scorpio, Sagittarius, Capricorn, Aquarius, and Pisces. When we say someone is an Aries, for example, that means they were born when the Sun was in Aries, either the month-long period of time after the Vernal Equinox (Western Astrology) or the period when the Sun is passing through the constellation of Aries (Vedic Astrology). However, in Vedic Astrology one is often labelled by their Ascendant sign, and in this case someone would be called an Aries when at the moment of birth the constellation Aries was rising on the eastern horizon. The Ascendant, Sun, and Moon placements among the twelve signs of the zodiac are very important in our birth charts, but in Vedic Astrology there is another system of constellations called the Lunar Zodiac or Lunar Mansions. First, some Astronomy: To understand the Lunar Zodiac, we first have to understand the Moon’s cycles. There are two main cycles of the Moon, or months. From here on Earth we can easily see what is called the Lunar, or Synodic, Month. A Lunar Month is the period from one New Moon to the next New Moon, or one Full Moon to the next Full Moon, and it lasts 29 days, 12 hours, and 44 minutes. It takes the Moon a little more than one revolution around the Earth to complete a Lunar Month. Just as Vedic Astrology is based on the Sidereal Zodiac, the Lunar Zodiac (or Nakshatras, which also means star, constellation, asterism…) is based on the Sidereal Month of the Moon. The Moon passes through approximately one Nakshatra per Earth day, and thus there are 27 Nakshatras. I have read that in very ancient times there were once 28, but somewhere down the line the sages must have determined that 27 were better. When we overlap the Solar and Lunar Zodiacs, we can see that there are two and a quarter Nakshatras that cover the period of each of the twelve solar signs. And the Astrology? Studying the Moon and the Nakshatras is very important in Vedic Astrology. In one’s birth chart, the Nakshatras influence the solar sign they are in and the planets that are in the Nakshatras. The rulers of the Nakshatras as well as the ruling Deities of the Nakshatras also have influences on the planets residing there. Most important when looking at a birth chart is the Nakshatra that the Moon and Ascendant are in. The Moon’s Nakshatra can change its nature and can alter the character of the natal chart. The influences of the Nakshatras are subtle but deep. There are three additional layers of interpretation. Each Nakshatra is divided up into four Padas (feet), each with its own ruler adding more subtle layers of influence onto one’s personality. The Nakshatras are also categorized according to the four functions or motivations of life: Artha (material action, work), Kama (desires and passions), Dharma (righteous action, duty), and Moksha (liberation). The Nakshatras also have the attributes of the three Gunas: Sattva (purity), Rajas (action), and Tamas (darkness or sluggishness). Besides greatly influencing one’s birth chart, the Moon’s Nakshatra is used to determine the Dasha periods, which along with the Moon are used to advise about the future, make predictions, and produce horoscopes. The Nakshatras are also used to do Electional Astrology, which is used to pick auspicious dates and plan important events such as weddings. The layers of interpretation are many! Now that I’ve briefly introduced the Nakshatras, I will soon begin to go through the Lunar Zodiac to discuss each of the 27 Nakshatras in more detail. This entry was posted in Astrology & Astronomy and tagged artha, ascendant sign, asterism, astrology, astronomy, birth chart, constellations, dasha, deities, dharma, electional astrology, guna, Indian astrology, Jyotisha, kama, lunar mansions, lunar month, lunar zodiac, moksha, moon cycles, moon sign, Nakshatras, rajas, rulership, San Francisco astrologer, Sattva, sidereal month, stars, sun sign, synodic month, Tamas, Vedic Astrology. Bookmark the permalink. 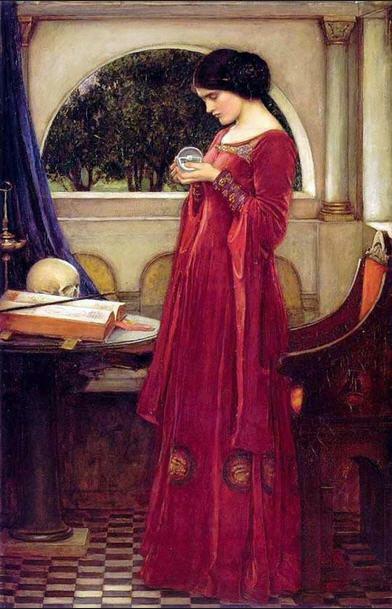 I had a question for you, Julianne, about the dignities or rulerships of planets historically: Have you found any historical references to anything like ancient dignities being based on the astrology at the time, which was only calculated sidereally until the Romans came along? I’ve dabbled with Nakshatra studies and was taught that, for one example, the Moon was originally debilitated in Vishakha (conflict) and not Anurhada (partnership chemistry)- the “eye of the storm” between combative Vishakha and the sort of over-sexed Jyeshta. I’ve seen some of the dignities that other astrologers have listed (Oken, Levacy?) and, along with critical degrees, they seem to be mapped straight from the degrees of the Nakshatras’ Sidereal locations onto Tropical ones. Could this be a case of astrological concepts drifting from East to West through the traditions physically bridging Europe and India, just as some others drifted in the other directions sans context!? There’s supposed to be a work about Nakshatras from @ 2500 B.C. (Kashmir) called Vedanga Jyotish (? ); I was wondering if you have read it and whether or not it lists dignities as well as critical points. I haven’t seen it. Background: In Nakshatra astrology, the last degree of all the water signs are described as Gandanta, sort of stricken points. Maybe the Via Combusta reflects this as well as being congruent with the idea that Vishakha is THE place for conflict! Maybe that’s why some modern astrologers can’t make sense of that part of the sky having an impact, because they keep expecting the tropical Libra to be a happy place with ancient rulership misaligned? The concept has been transliterated by Western astrologers, but Western astrologers don’t seem to want to acknowledge these points were based on the same fixed stars that Nakshatras take their placements from. Could all of these fixed-star impacts on nativities and mundane charts possibly translate into Tropical usage without a 24 degree adjustment? Lehman in her “Essential Dignities”, 4th chapter, states that the technical method of using dignities as points of interpreting planetary strength has been confused by 19th (and 20th) century astrologers in their attempts to analogize planet character with signs: Aries=head=Mars=muscles, therefore Aries=muscles. “Uranus..was newly discovered…Raphael was thus confronted with the challenge of attempting to integrate.. new elements [Uranus] into an ancient system he didn’t fully understand.” Could she have gone one further..? 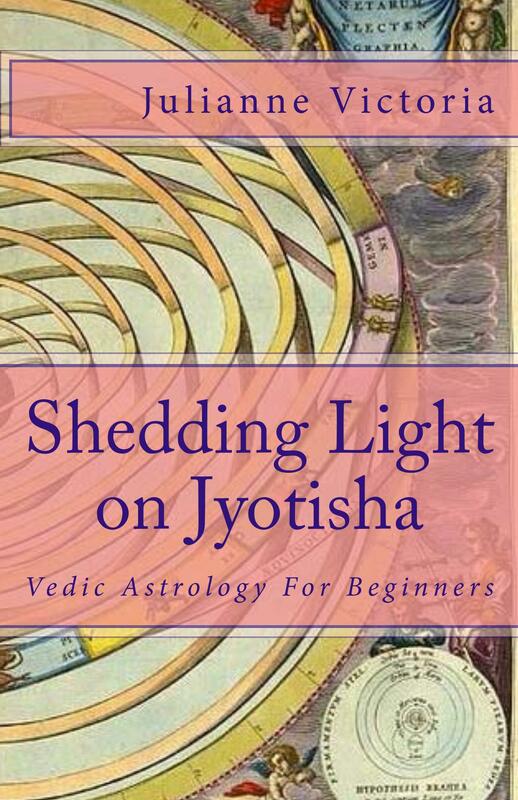 Wow, this is an incredibly long question for a the comments section, but I will try to answer in brief: I have not read Vedanga Jyotish, though I do hope to be able to study some ancient texts at some point (just beginning to study Sanskrit). As for mapping Sidereal into Tropical, I think that is all going to depend on the astrologer and what system(s) they use, and what resonates with them. There are different systems used both among sidereal and tropical astrology. There is a connection between characteristics of ruler and their signs, but they are not mutually inclusive. And, I believe, when Western/Tropical astrology was developed the zodiacs (sidereal and tropical) were one in the same, and as they slowly moved in the heavens, the two systems became apparent. Well explained! Thanks for sharing your knowledge. I’ve only recently been introduced to the deeper concepts of the zodiacs, until now I only knew of the solar signs, and didn’t put much stock into astrology. But because of information like this I’m coming to a much deeper appreciation and understanding of astrology. Thanks! Thanks for sharing this, very well done and clear. I look forward to more. Is the Nakshastra, then, related to the true astronomical position of the Moon at an given time since tropical astrology is not correct astronomically? And if one has an astronomical chart of one’s birth, can the Nakshastra be determined? Yes, it is the astronomical position of the Moon. The Moon will be in a different Nakshatra apps. each day, but it will also still be in on of the 12 solar signs every few days (as with Western Astrology). You would need a program or Ephemeris that calculates or shows the Nakshatras to determine them in one’s birth chart. I too appreciate this clear explanation, thank you so much. It´ll be interesting to read about the the Moon and the Nakshatras. I only know minor things about the Vedic astrology. (I had already studied and deeply processed my Western chart and gotten so much from it, when I received the Vedic one that I haven´t been introducing myself that much with it.) 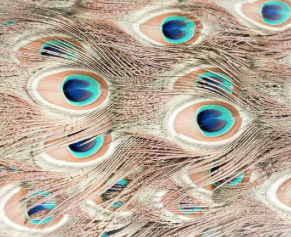 Have seen on the discussion forums that while others say they find themselves better in the Western chart, there are those who find themselves better in the Vedic one. To me this is not an absolute right or wrong thing (rare issues are 😀 ), as that´s something I also noticed when the tropical and sidereal views were being discussed, that the discussions sometimes got polarized, and then the objective views tend to disappear. So, I really appreciate your attitude, which you share in the text of your first link. What I noticed on my Vedic natal chart was that the house positions of the planets and the aspects between the planets stayed the same, but the signs in where the planets were different. Is this generally so? I sometimes go to http://www.astroccult.net/ephemeries.html to compare the current positions with the tropical ones. Is the Lahiri Ayanamsa what you yourself use? Hi Deelia. Yes, the program I use is the Lahiri Ayanamsha. Like Western there are various systems of analysis. Between Western and Vedic, yes the aspects between the planets will remain the same, since they are still the same degrees apart in the sky, but because of the shift of 25-ish degrees between the two astrologies the signs and sometimes the house position will shift that many degrees. Occasionally some people are born in the 5 or so degree overlap area and their signs and houses are nearly the same in both astrologies (though the specific degree placement in those signs will be different). Of course this can all shift a little more if one’s Western chart is done using the system (I forget the name) where the signs/houses are different lengths and not 30 degrees each. Okay, thanks a lot for taking the time to explain this. “Of course this can all shift a little more if one’s Western chart is done using the system (I forget the name) where the signs/houses are different lengths and not 30 degrees each.” I forget the name too, both in English and in my native language, but I know what you mean (and that is the system I prefer to use). I think it is enriching to have several systems. Speaking about the Moon and Moon cycles I´m wishing you, and everyone reading this, a happy Super Moon on Friday (at the time zone of Northern Europe). PS. And good for the reader issue. Looking at different systems/charts give so many more layers of information and understanding! Yes, Happy Super Moon to you too! This was so smooth an introduction to something that is very complex, to obtain the overall view !